I feel like this place has been a little lacking in Henry content lately, since I rarely have anyone around to video and take pictures anymore. Let’s rectify that today with a general Henry update and picture extravaganza. We’ve slowly been coming back to a normal schedule now that the weather has stopped being stupid, and Henry is starting to gain back some of the muscle and weight that he lost over the winter. The weight has been really slow going and kind of frustrating to me because I’m impatient, but I’m finally seeing the beginnings of him filling out. 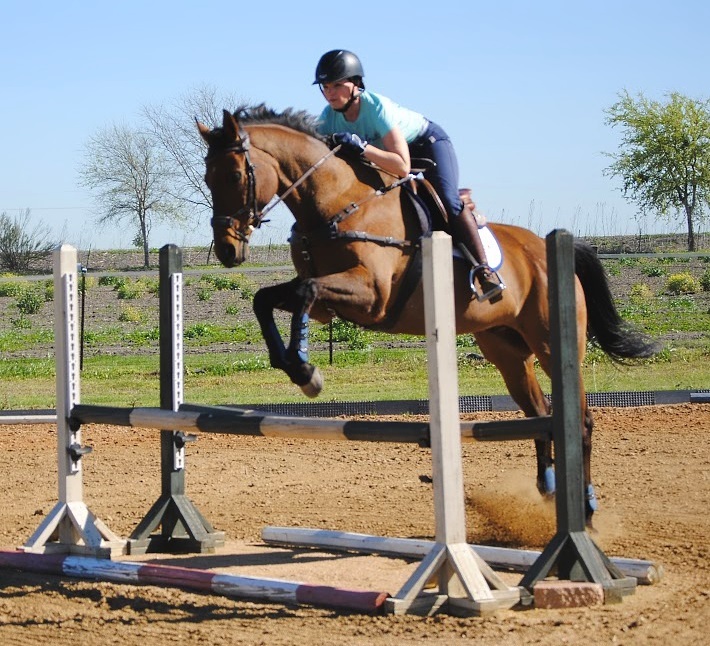 We did a little jump school on Saturday by ourselves, keeping the jumps small. 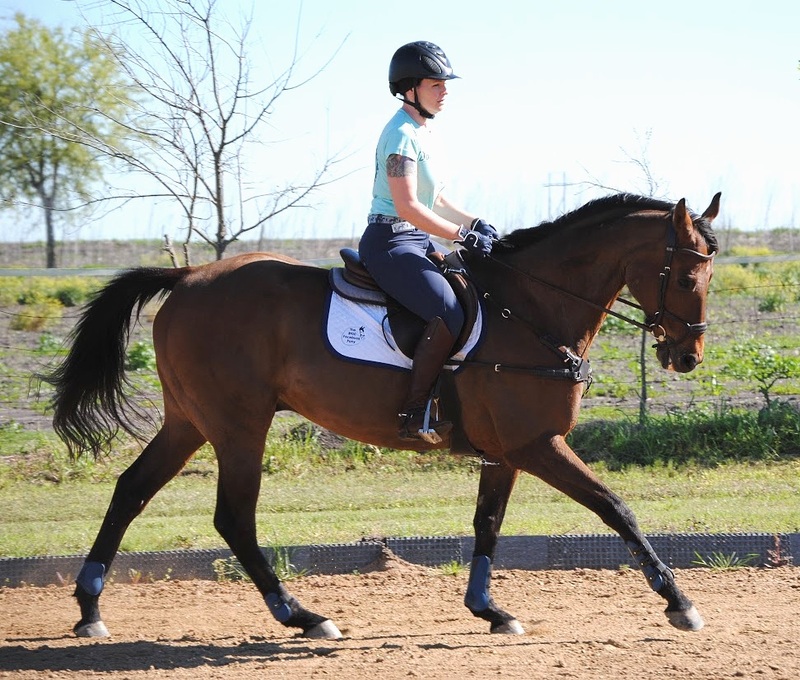 I’ve been working a lot on trying to get more power in his canter and finding the deeper distance out of a more forward pace. 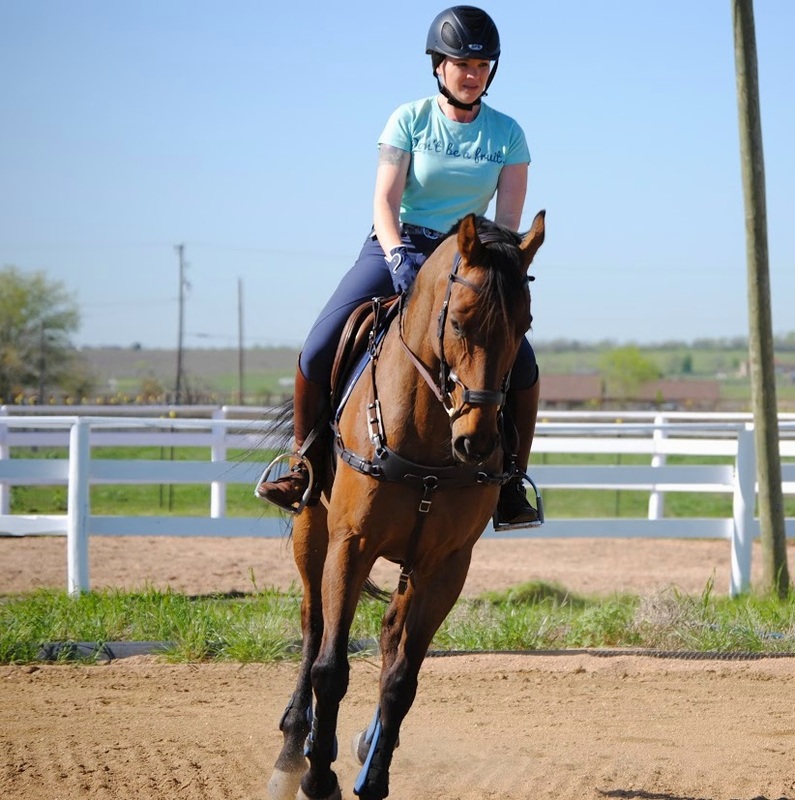 I wish I could say I was succeeding on both counts, and while his canter to the jump is improving, that whole going-forward-to-the-base distance is so elusive to me. I’m trying, but my success rate isn’t really any better than 60/40. It’s always been a struggle for me to find the deep one without pulling all the way down to it, and with a lot of work I had it down pretty pat for a while, but then I stopped trying so hard and away it went. If anyone needs me I’ll be cantering poles ad nauseum trying to get my eye back. Henry of course remains unphased by my general lack of talent and continues to put up with my crap with few complaints. The boy can take a joke. He also jumped his first little corner jump, which he didn’t actually notice until the last second, then he randomly launched from half a stride away and dove left, which made him have to jump way wider than if we’d stuck to the trajectory up the middle. Oops. That was my bad, I didn’t help him at all. After that I decided I should probably like… I dunno… sit up and steer or something? He jumped it well, although it took several tries to really get him jumping straight across it. Once he did it was old news and he was no longer impressed. In general, good saintly pony remains good saintly pony, and his life is full of cookies and pats. Oh yeah and food. He eats lots of food, and likes to make “smoothies” in his water by depositing his grain in it and then slurping it all up in a gross mushy mess of brown water. Hey, at least he’s eating it… Triple Crown Complete isn’t cheap. I love his rocket ship corner effort 🙂 But really, he’s just adorable all the time! He’s not really sure why i won’t just let him lope to everything on the forehand. I love those breeches!! What brand are they? Love the pictures! What kind of saddle are you riding in? It looks like my HDR from a distance. 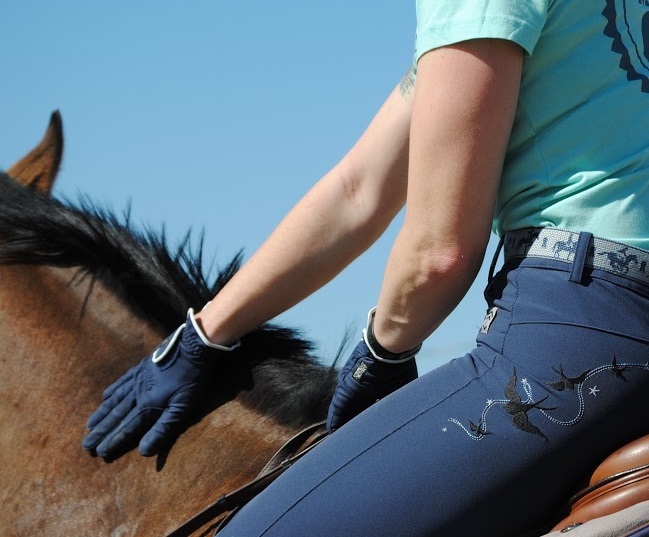 #rootd game is strong in these pics! He’s looking great. Love the pictures. Super impressed with your corner skillz. 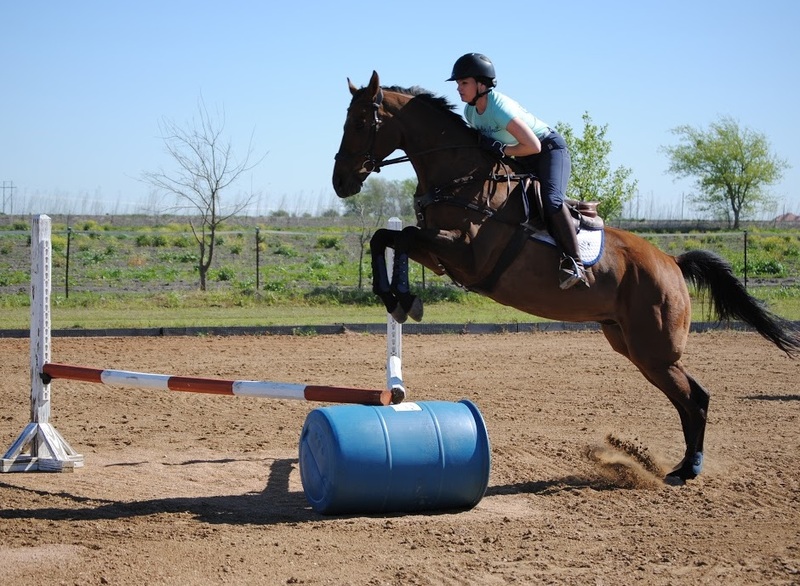 Now I want to canter poles and jump corners too. You guys look great! I want those breeches. And he looks so handsome in his new boots! I missed that handsome mug! Yay for a Henry update and pics!! Best outfit. I love your brown boots too!